A section of the SH1 in the South Island of New Zealand carries heavy commercial vehicles through the region. The route runs adjacent to the coast where a 7 km section of beach has been subject to ongoing erosion over the last century. 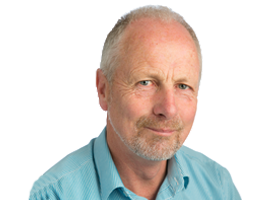 In July 2017, Dunedin recorded 157 mm of rainfall, being 274% of the usual monthly rainfall and the 3rd highest July record since records began in 1918. More significant erosion of the site occurred after this rain event, resulting in edge seal cracking within 1.0 m of the southbound lane and cracks present over approximately 35 m length of road. 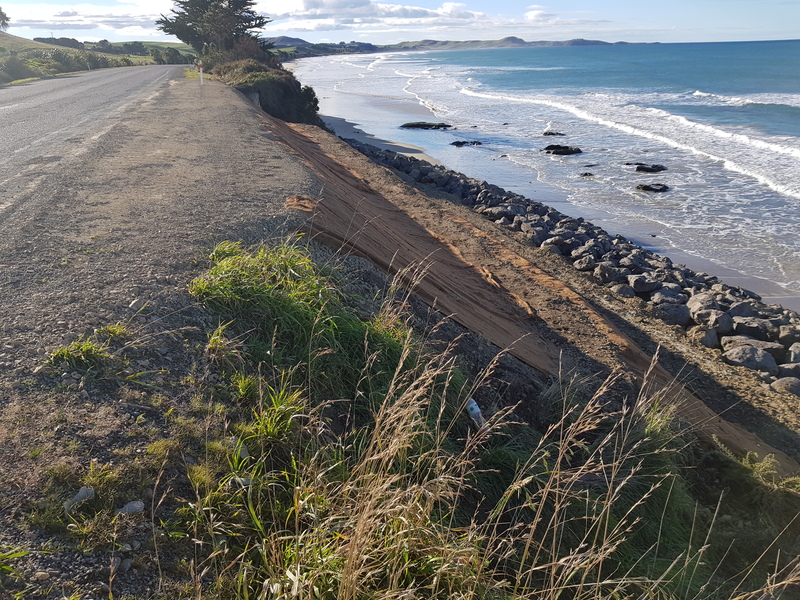 Alternate routes through the area are unable to accommodate the traffic loads carried by SH1, closure of the route due to further erosion or for ongoing repair works were not viable therefore a long-term solution was required. The client approached Geofabrics to help them develop a coastal erosion solution which could be implemented without heavy equipment or the need for extended road closures. The existing slip mass in the area could not be relied upon to provide shoulder support, or support for new retaining structures, and so a self-supporting MSE/Geogrid reinforced earth fill structure was proposed. A Geofabrics design engineer undertook design iterations to optimise the length and terrace height of the MSE without undercutting the existing highway at any more than a 1:1 slope angle. Internal stability checks were undertaken by Geofabrics’ design engineers using MACSTARS W – Release 4.0 software. Geofabrics also included a Limit Equilibrium Seismic design with Horizontal Acceleration = 1.96m/s² (0.18g). Internal reinforced earth/geogrid material shearing, overturning and lateral sliding has confirmed a minimum factor of safety in excess of 1.65. The design solution accepted by the client and installed by SouthRoads was a 9 m high Miragrid reinforced structure to reinstate the eroded embankment. Further protection consisting of 2 m thick armour rock at the toe extending 1 m below the lowest historic beach level. The slope was constructed using bidim A64 geotextile, TenCate Miragird GX 100, a top layer of BioMac Coir mat with rip-rap at the toe. The final shoulder was reinstated to a minimum width of 3.0m from the edge of lane to allow future paved access for bicycles, and a rope barrier, with appropriate ground behind it.